This is a very busy time for all of us here at UTC – budgeting for 2019, developing our 2019 work plan to implement the first year of our new strategic plan, having our annual staff retreat, having our holiday party, going to other organizations’ holiday parties, planning for our spring set of meetings, focusing on two key advocacy efforts – 6 GHz and resilience/storm restoration issues, and moving offices! 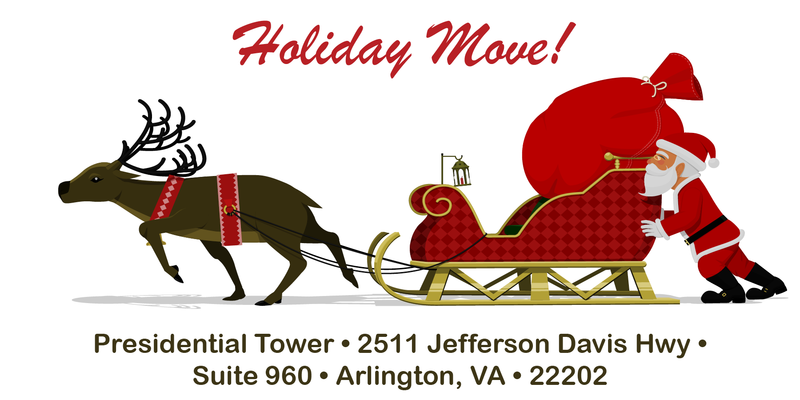 Yes, we’re moving from our D.C. office to an office in Crystal City (Arlington), Virginia. The new location is right next to Reagan National Airport and close to the Pentagon. It also happens to be one of two new locations for Amazon’s expanded headquarters. Luckily, our lease negotiations began before that announcement was made, which means we locked in a reasonable rate. All predictions are that Crystal City will be even more lively than it is now once Amazon comes to town. Of course, our website and email addresses won’t change, and once we determine whether or not we can keep our phone numbers, we will ensure everyone has updated contact information come early next year. We will be out of our existing offices as of January 15. When we add the office move to all the rest of our end-of-the-year activities (not to mention our own personal holiday “to do” lists), it seems daunting. And, you may wonder why the rush? Well, just like selling your own house, the timing is usually based on the marketplace. We started looking into moving soon after I started a couple of years ago, but our existing lease doesn’t expire until 2021, and we weren’t sure if we could get a viable sublessor. Once we started talking with our brokers at MGA, they felt pretty confident we would be able to do so if we were flexible as to when. So, we started to look at potential new spaces while our brokers put out feelers about our existing office. We settled on Crystal City because the square footage price for spaces there are, in general, significantly less than the price of spaces in D.C. There are many reasons for this, one being that D.C. is hampered by not being able to build up – literally, no buildings can be taller than the Capitol (with one legal exception – that of the Washington Monument). While this decision has made the city unique in a good way, it has squeezed available office and residential space, especially near the heart of the city. Besides the positive impact to our bottom line, this move will allow us to be in a more modern space with a view of trees (yes, trees!) as opposed to alleys, and a more open feel. I firmly believe that this setting will positively impact our attitudes, even if in a subtle way. We will still have easy access to myriad restaurants and other conveniences for running an office such as a post office, ample hotel space for member meetings, and ample parking. It really is a win-win for us – not a phrase I can use often. It is not a “win-win-win,” though, because the timing is slightly less than ideal, and we will all be working from home for about a six-week period while a new space is being built. We have lot of very detailed and specific decisions to make over the next month – furniture, wiring, color schemes, A/V – not to mention packing up our existing space. A little short-term pain for long-term gain. So, while the UTC staff gets together this coming week to team-build during our staff retreat and holiday party, we will also be in packing mode. As we do so, one of the staff, Bob Lockhart, has suggested we share our favorite holiday songs to play as we pack (and do our other work – remember the list above!). The rest of the staff has embraced this idea and we already have a great list going. This kind of thing helps us all come together to get through the tasks in front of us. The bottom line is: I wish you very happy holidays and success in getting through your “to do” lists. Until we meet again…in Crystal City!